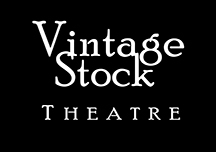 Vintage Stock Theatre (VST) has become well known throughout Ottawa for its historically based theatre productions. All productions are original stories, written by local playwrights, focussing on the social and cultural development of Canada, in and around the Ottawa Valley in particular. While some may see a dichotomy between artistic merit and historical perspective, VST has consistently melded the two, producing imaginative and extraordinary theatre that encourages an interest in, and support for, heritage conservation and preservation. The VST repertoire is varied, and venues have included outdoor productions, interactive dinner theatre and formally staged productions. Dinner theatre productions are an important element of VST’s repertoire and are its primary fundraising initiative. Held each summer at the Cumberland Heritage Village Museum, these are murder mysteries with a difference. Audience members not only get to play detectives, but they also experience village life as it was in the past, full of fun and intrigue. VST continues to partner with Cumberland Heritage Village Museum to produce the annual Shades of the Evening series. These shows are stark reminders of the history of the country, dramatized by lamplight at the one-hundred acre Museum site. Audience members walk from one scene to the next, guided by lantern-bearers, with the Museum buildings providing a unique backdrop for each of the stories. Christmas productions have been held at the former Cumberland Town Hall Theatre, the Cumberland Heritage Village Museum and most recently the Shenkman Arts Centre in the Richcraft Theatre. 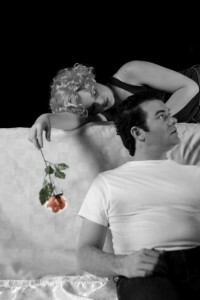 From a story about Charles Dickens visiting Canada in 1842 to the repercussions of the First World War on the residents of a small village or the effects of the cancelation of the Avro Arrow, each play has looked at events that have had an impact on how we, as a people and as a nation, have developed. Charles Dickens’s famous A Christmas Carol has also been produced numerous times to audiences at the Billings Estate National Historic Site. 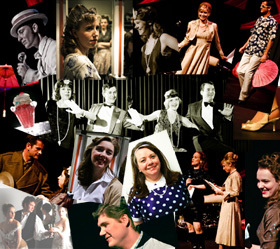 In 2016, Vintage Stock Theatre undertook a rejuvenation year to reinvigorate its operational structure and its capacity to serve the artistic community of Ottawa. As part of this commitment, Vintage Stock Theatre became a founding member of the Boîte Theatre Box, a group whose combined resources will be able to benefit rural and urban Eastern Ottawa.